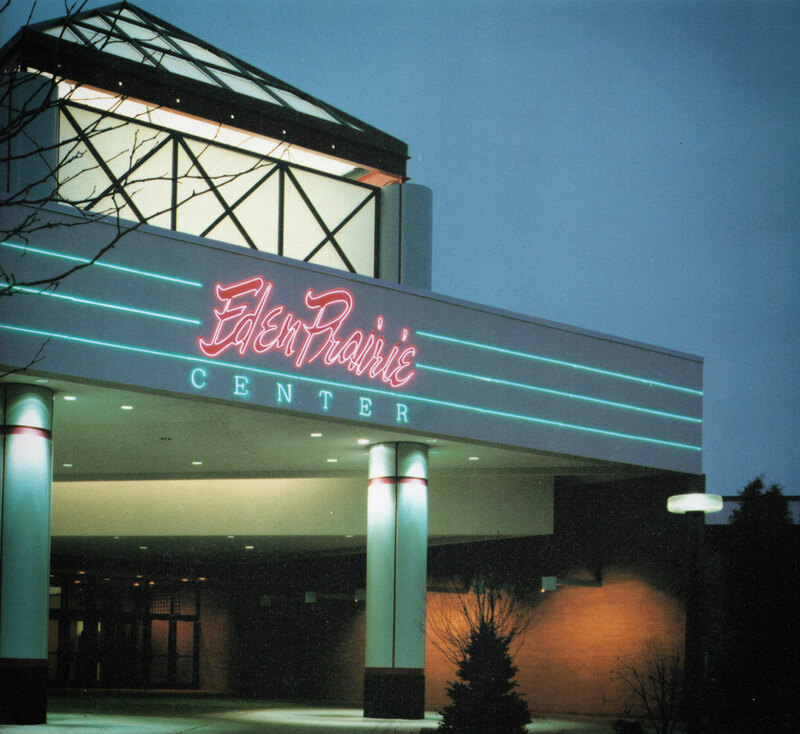 Originally opened in 1976, it seemed that Eden Prairie Center was destined for failure. First planned with four anchor stores, it could only attract two, Sears and Carson Pirie Scott. Inside, more than half of the fashion retailers carried low-end merchandise, food vendors were scant and there was not even one shoe store for the ladies. Shoppers really had no legitimate reason to visit the center. Enter the “Fast Forward” project. The $2.4 million renovation was created to push Eden Prairie Center in a new forward-looking path to becoming a successful regional mall. Not only were new tenants and marketing essential to the plan, but the mall itself was in need of improvements. The age and wear on the twelve year old building was showing. Structurally, there were design flaws. Poor escalator and stairwell placement and the use of ramps between floors needed to be addressed. The main entrances were bare and the food court was not inviting. Visually, the interior was stale. A palette of earthy colors and wood. Ramps were removed a new glass encased elevator was constructed in the center court. The odd stairwells at the end courts were also removed and the escalators relocated in their place. Glass pyramids, new signage and lights were added to the entrances. Inside the wood railings were renovated and painted a pastel aqua color. In the food court towering palm trees were constructed with neon green leaves coming out of actual satellite dishes. And metal trellises painted in coral and seafoam green pastels were added. Demolition and reconstruction to the common areas went on at night. And every morning the areas were cleaned up in time for opening hours. Barriers were set up to keep customers out of the construction areas, but you were still able to see all of the work that was being done. And as each project starting wrapping up the work would be done during daytime hours so the shoppers could watch. 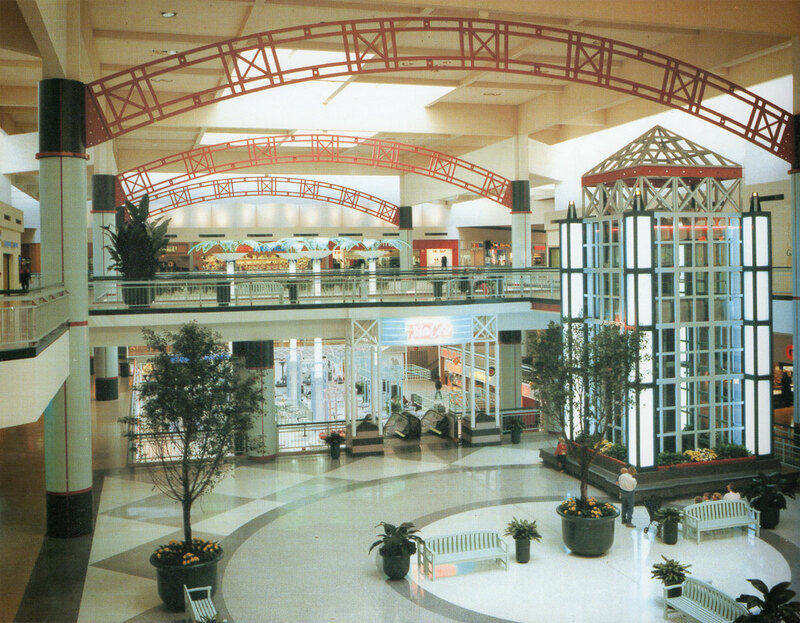 The Grand Re-Opening took place on November 17, 1989. That year the mall had the best results in years for the day after Thanksgiving. 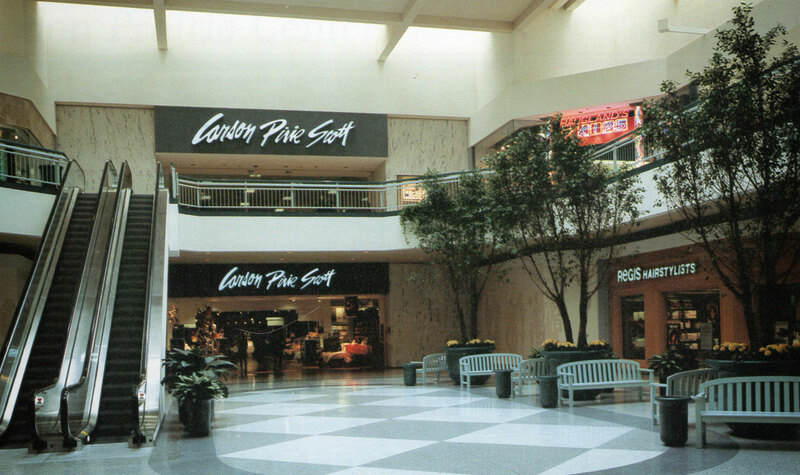 And by that same time a year later, in 1990, the sales volume for the entire mall increased over 53 percent. 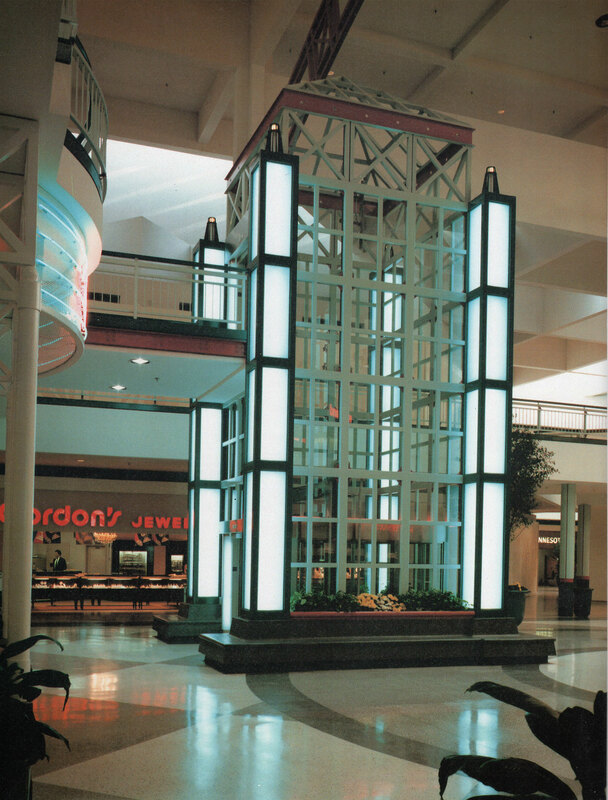 PS – Eden Prairie Center underwent another major renovation in 2001 which included changes to the layout of the mall and a brand new addition. However, if you still want to experience the original restoration that brought this mall to life, you can always pick up a copy of “Mallrats” at your local video store. Great to see Eden Prairie Center just like how I remember it in the mid 90s. 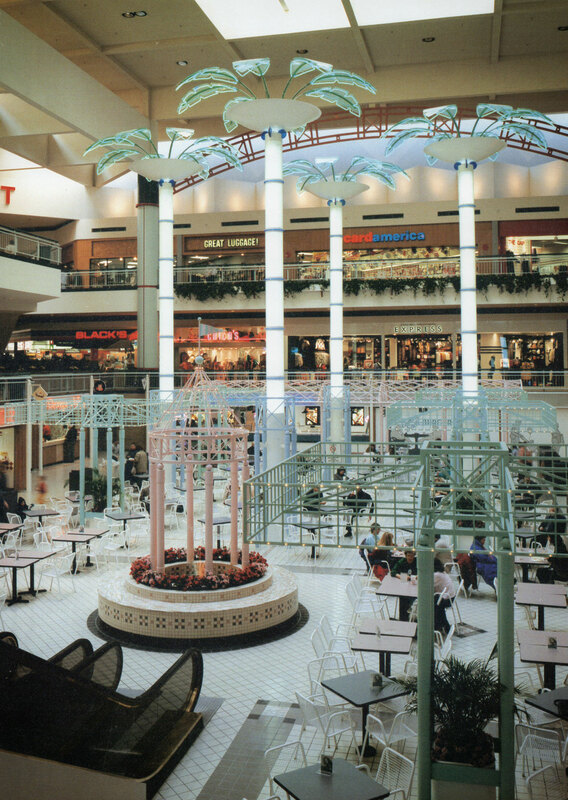 Do you have any additional photos of this mall during this time period? Excellent website. Thanks for sharing.